This pictorial covers the Filters that do clean both recirculated and fresh air. 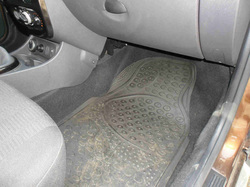 They are located inside the vehicle and called cabin filters. 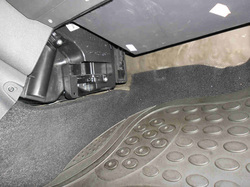 The below concerns a Renault or Dacia Duster but applies to many other cars for the numerous similarities between the way cabin filters are fitted in A/C systems. 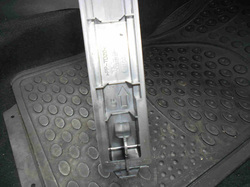 1- Go straight to the area below the dashboard in front of the passenger seat. 4- Take it out by hand. 7- Gently insert the new cartridge. Don't force. The opening might be smaller than the filter. Squeeze it a bit or introduce it diagonally then push it in. 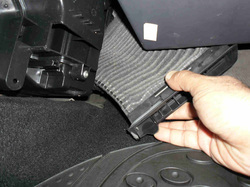 2- Look beneath the dashboard and find that black plastic device with straight and curved grooves in its wall. It is your heating and A/C system. 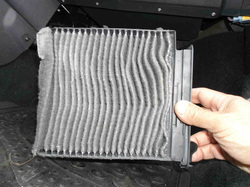 5- This is your cabin filter. It needs to be replaced every 10,000 Km in dusty countries. 8- In this particular case, it goes from the upside first, shapes like a hand fan before taking its final seat. You always here a "click" denoting you inserted it with success. 3- Look well to any vertical rectangular element that is susceptible to be extracted. 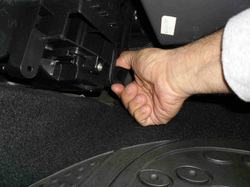 Find a catch, a small handle as most filters require no tools to be removed. 6- Make sure of the airflow direction when unpacking the new one. An arrow indicates UP or Flow.